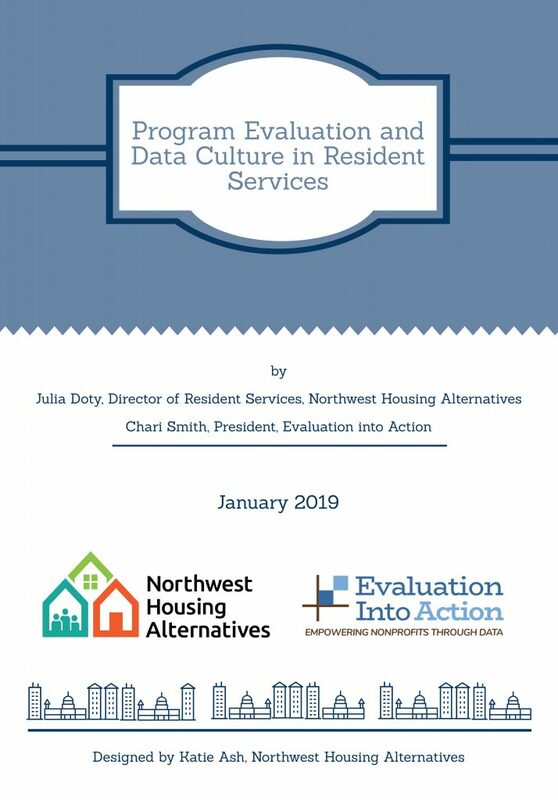 Northwest Housing Alternatives’ Julia Doty, the Director of Resident Services, has collaborated with Chari Smith, the President of Evaluation into Action, to release a new concept paper. The paper details the work they completed together evaluating NHA’s Resident Services program and implementing new metrics and strategies to measure progress. The process resulted in an increased ability to effectively communicate the Resident Services team’s impact, accurately describe NHA’s services, and explain why these services are critical to keeping our residents stable in their housing. In addition to this process, the team moved to a new database that allowed for easier tracking and monitoring of data. Check out the whole paper for a deep dive into the program evaluation and data culture in the Resident Services team. We are so proud of Julia and her team for all of the hard work they’ve put into improving their program, tracking outcomes, and most importantly – stabilizing seniors, families, and individuals in their housing.